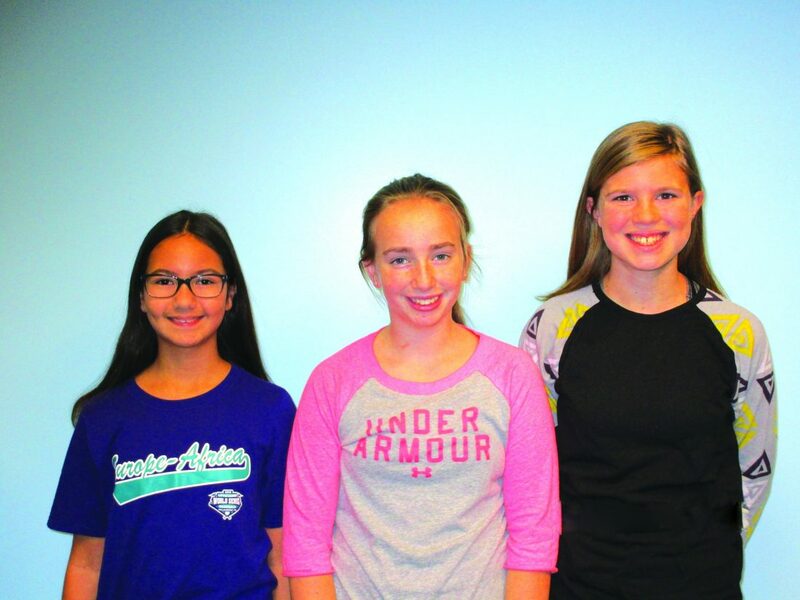 Pictured from left to right, 6th grader Mia Resnick, 7th grader Angelle Knappenberger and 8th grader Cassidy Phillips. Mia Resnick was selected as Student of the Month for 6th grade. Mia’s favorite classes are technology and science, because she enjoys “hand on” activities the most. Outside of school, Mia takes piano lessons and likes practicing and getting better at playing. In the future, she plans on attending college, finding a successful career, and travelling the world. At the 7th grade level, Angelle Knappenberger was named, “Student of the Month.” Angelle’s favorite classes are ELA and Science. She likes reading and writing, and also likes doing experiments and problem solving. When not in school, Angelle participates in dance at Center Stage, and her future goals are to go to college, study science, and find a job that she loves. Cassidy Phillips was the 8th grade Student of the Month for November. Cassidy loves science (because of the labs), and ELA, because she loves to read. Cassidy plays softball, and she likes spending time outside when she’s not in school. In the future, she hopes to go to college and pursue a career in Marine Biology.